Welcome to the LIS PTO website where you will find all the information you need to know about who the PTO is and what's going on at LIS and throughout the community. The Spring Session will begin on April 22nd and run through June 7th (makeups will be June 10th & 17th if needed). Please note Early Bird Basketball Session 2 has a slightly different time line. Online registration starts now and ends on Sunday April 14th (or when a club reaches its maximum enrollment; whichever comes first). Click here to register! You can also find information about clubs on the LIS PTO website. Students can do a walk-in registration during the first week of clubs (April 22nd thru 26th), IF there's space available. Walk in's need to submit a copy of their LIS PTO Student Club Payment Receipt Form to club leaders at the first club meeting. LIS Spring Conferences for 4th and 5th grade students will open for scheduling on March 18, 2019 and will close on April 1, 2019. 4th & 5th grade conferences will be scheduled through the parent side of Genesis. Unlike the fall, there will not be an online sign up for the 2019 Spring Conferences (Wednesday, April 10th – Friday April 12th). However, each family will receive a notice either requesting a conference or letting you know that no conference is needed at this time. If a conference is requested, we ask that you select which day and time works best for you then, return the form to your child’s homeroom teacher. Please keep in mind that due to the limited amount of days and times available, the sooner you reply, the better chance you have of receiving your first choice. More 6th grade details can be found here. 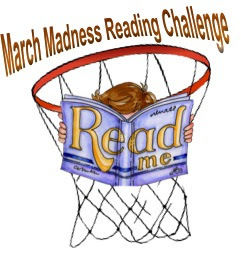 This is the last week of the reading challenge!!! Mrs. Casieri is challenging every student to read 30 minutes/day every day during the month of March. Classes who meet their reading goal will be able to vote on Mrs. Casieri's hair color for the month of April. The class in each grade who reads the most minutes will get Rita's water ice in May. Here is the link to her website for complete challenge details and FAQs. If you missed out on ordering your DVD or purchasing your cast and/or crew picture you can still get them by submitting CASH ($10.00 for a DVD or picture) and have your child put it in the PTO mailbox before April 5th. Please make sure the envelope contains the students first and last name and homeroom teacher. We have an endless amount of DVD's but a limited amount of photos. They will be sold on a first come first serve basis. There are also still a few shirts left. If you would like to purchase a shirt follow the link to order and we will put the shirt in your child's homeroom teachers mailbox labeled with their name. Shirts are sold on a first come first serve basis. Please join us for a screening of “Most Likely To Succeed” (MLTS), a thought-provoking documentary feature film that reveals the growing shortcomings of conventional education methods in today’s innovative world. We will host the screening Monday, April 8 in the Lawrence High School auditorium beginning at 6:30 p.m. Babysitting is provided. Registration is open now. The documentary runs approximately 90 minutes. Afterward, the documentary’s producer Ted Dintersmith will join us via Skype for a discussion. The film explores compelling new approaches that aim to revolutionize education as we know it, inspiring school communities to reimagine what students and teachers are capable of doing. To date, MLTS has screened for thousands of audiences around the world, igniting conversations and empowering change along the way. Welcome Rising 7th Grade Families! Please mark your calendars now for the upcoming Middle School 101 program on April 9, 2019 at 7 pm in the Middle School Auditorium. The evening focuses on curriculum and the Academic Course Guide. More details will follow as the date approaches. The flyer posted on the right has more information about the upcoming program. Thank you in advance for your support of our all new Follett 2019 Spring Book Fair! One of the great new features of this sale is the "complete your series feature". If you are reading a book series and our Follett fair does not have the book you are interested in, you can order the book at the fair and it will be delivered to your homeroom in a couple of days. Plus, here is a link to a short video you can watch to find more book fair highlights. Our fair will run from Wednesday, April 10 to Friday, April 12 (with night hours on Thursday). All of our school events are volunteer-run so we need YOU to help us make this Book Fair a success! Please select a 90-minute slot for the fair, which will be held in the LIS Library. Please note that if we are unable to identify coverage for a time slot, the Book Fair will unfortunately have to be shut down during that time frame. That's why we need your help - to make sure ALL students have access to the Book Fair throughout the day! EXCITING NEWS FOR SPRING 2019: ALL Book Fair volunteers will be eligible for a 20% discount at the Fair! 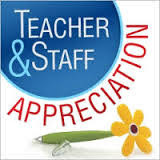 If any homeroom coordinator has not already given in their classrooms contribution for Teacher Appreciation Week please email us to arrange a time to get it. We are looking for candid pictures of Pitch Black, Band, Jazz Band and String Ensemble. If you have any photos of members of these groups and would like to share please email them to us.Thank you! K-5 Family Math Night - Save The Date! 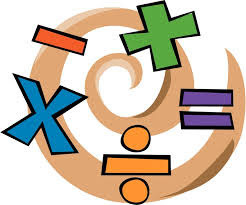 On Wednesday, April 24, 2019, Lawrence Township Public Schools will host its First Annual K-5 Family Math Night. Find out more about what your child is learning in math. Games and activities will begin at 6:30 p.m. in the Lawrence Intermediate School Cafeteria. A fun night for the entire family! If you plan to attend, please register at K-5 Family Math Night Registration. For questions or more information, please contact Kristin Burke, elementary STEM supervisor, at kburke@ltps.org. Please keep in mind that this is a family event. Children should not be dropped off and left unattended at LIS. 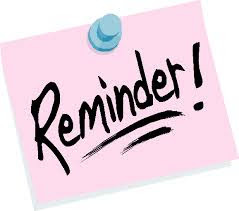 Please note if you do not choose to purchase your school supplies through our vendor then you will be responsible for purchasing the items that are listed on the grade specific list on your own in time for the new school year. Both the parent list as well as the list of supplies the PTO is purchasing can be found on our website. 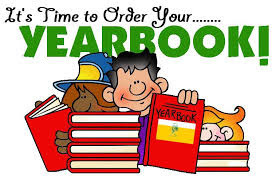 See the Yearbook Section on the menu on the left side of this page for more information. All yearbook messages are now available to purchase and details can also be found on the yearbook section of this website. 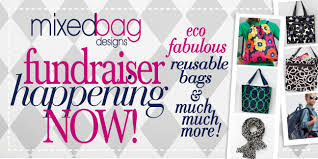 We are excited to announce that the LISPTO has established an online fundraiser with Mixed Bag Designs. We have our own custom shopping site. Feel free to browse and order anything you want between now and the end of the school year. Order once, order twice or more!! All items ship directly to your home and the LISPTO gets 40% of all sales (minus tax and shipping costs). Feel free to share this specialized launch page with friends and family so they too can buy great products and help raise money for our school!! 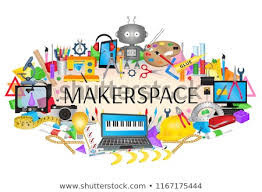 Our Maker Space in school is always in need of donations. Please see the list linked here and if you ever have any of these items lying around at home please have your child bring them to school and bring them to Ms. Rubenstein's classroom - the tech lab. Drop Off and Pick Up Procedures: Drop off begins at 8:10. No child should be left unaccompanied before 8:10 for safety and supervision purposes. The school doors will open at 8:15 each day. All cars should pull all the way down the driveway to accommodate as many families as possible at arrival and pick up. Genesis: It is very important that you log in to your parent portal through Genesis. This is the platform in which you can access report cards and the school uses to contact home when necessary. Please see the directions following to log in. Once you have logged on, please confirm that your information is correct. The music department now has their own Google Site. 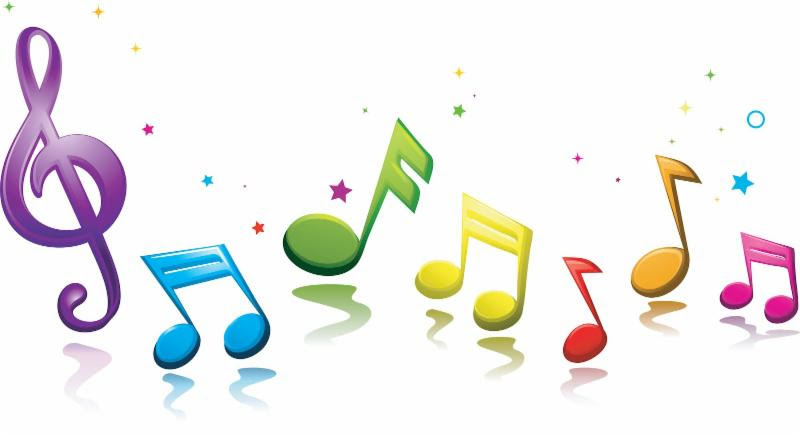 Check out the LIS Music Department Google Site for all things music! Color and black and white versions of the 2018-2019 calendar are on our website (www.ltps.org) via the Event Calendar tab. Follow us on Remind at @lisup so you don't forget anything important!! The YWCA of Princeton again will run the district's Before and After School Program. 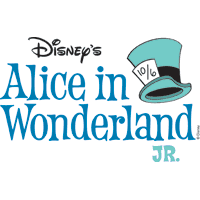 Get details about the program as well as a registration application under the Parents tab on our district website (www.ltps.org). district website www.ltps.org and in the main office of each school. Questions? Please contact Beth Farletta at 609-671-5420 or via email bfarletta@ltps.org. Don't forget to check genesis for what other online forms you need to update and sign such as the walking permission slip, the media release form, and the emergency contact information form, just to name a few. Don't forget to check out the Student Council link on the left side menu of this page for all the news about upcoming Spirit Days and Service Projects. Looking For Parents with Special Talents!!! If you have signed up to receive the weekly PTO e-newsletter and have NOT been getting them in your inbox (they are sent mid day on Mondays) then please click the "Newsletter Sign Up" link on the left margin, enter your email address, click Continue and verify that the proper groups (grades) are checked off to match what grade your child/children are in as well as the General Interest box is checked. And if you are not signed up at all please consider doing so so you don't miss out on all the upcoming school and community news!! LIS doors open at 8:15 am every school day. If your child arrives prior to this start time, they will remain outside until we have staff members on duty to supervise. Especially during these cold winter months, please do not drop off your child until 8:15 am. Our homeroom time runs from 8:40 to 8:50 am. If you child arrives to school after 8:50, they are considered late to school and you will need to come into the main office to sign them into school for the day. The school calendar for 2018 - 2019 can be found here as well.